Moscow bike rental stations finally began working in test mode. The system will be launched at full capacity on May 1. Before that, there might be some problems with paying the rent. This year, 1 000 bicycles are available to users. 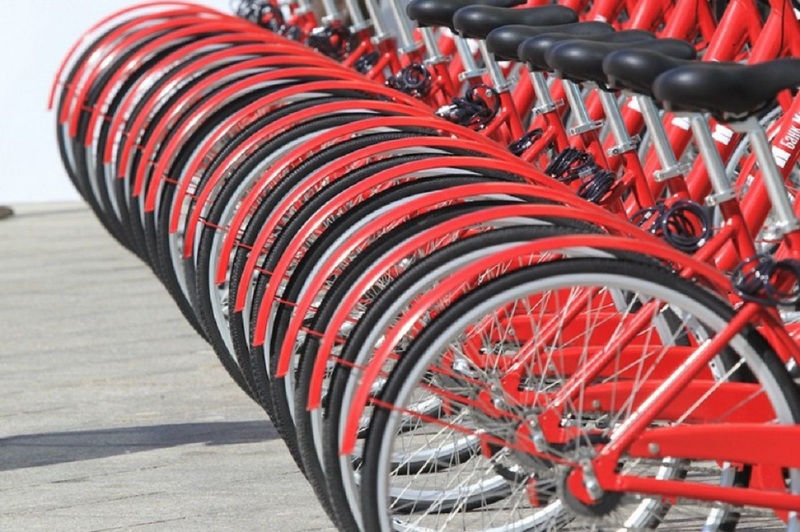 By July 1, bike rental chain will include 300 rental points and 2 700 bicycles, which make Moscow bike rental service one of the largest in the world. Thus, about 100 cycle stations will open outside the Third Transport Ring. Besides, it is now possible to pay for a car parking and to fill up the Troyka transport card. Renting a bicycle is available after registration at the service’s site, through Velobayk mobile application or at the bike rental terminal. It is possible to take a bicycle in one point, and to return it to another. Three rental rates are presented in the following season: Day that will cost 150 rubles (€2.07), Month — for 600 rubles (€8.30) and Season — for 1200 rubles (€16.59). The rates include unlimited number of trips, lasting less than 30 minutes each. Additional time should be paid separately. Day and Month rates require a deposit of one thousand rubles – the money will be blocked at the user’s bankcard. For Season rate, the deposit is not raised.